Deccan Delight Touris a customized itinerary to explore the cultural and scenic niceties of the Deccan- the south India. The Deccan Delight tour is exploratory in nature, rejuvenating by pace, delightful in destination-selection, exotic in terms of cultural variations, incredible with variety of cuisines and pleasant due to peaceful environment and society. The Deccan Delight tour encompasses five states of southern and western India- Karnataka (Bangalore, Mysore, Ooty & Mangalore), Tamil Nadu (Coimbatore), Kerala (Cochin & Kozhikode), Goa & Maharashtra (Mumbai). The tour showcases the charm of Queen of Arabian Sea (Cochin), houseboat and backwaters in Kozhikode, Nilgiri toy train in Ooty, Tibetan Buddhist temples and monasteries near Mysore; scientific, technological, cultural and historical wealth of Bangalore, world-renowned beaches of Goa and shopping paradise of Mumbai. The Deccan Delight tour itinerary has been chalked out by identifying culturally representative destinations of diverse regions of south India and spending a sufficient time to explore the very eccentricities of the place. Day 1 Bangalore arrival & sightseeing. On arrival at Bangalore airport, you will be greeted & assisted by Optima Travels’ representative. 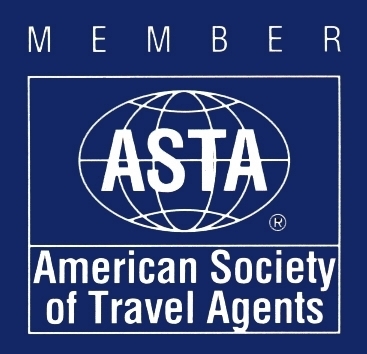 Optima Travels representative will meet you holding a placard with your name on it at the exit. You will be transferred to Bangalore hotel. Our representative will ensure smooth check in at the hotel and then proceed for Bangalore sightseeing that primarily includes Bangalore Fort, Bangalore Palace, Tipu Sultan’s Summer Place, Bull Temple. Overnight stay in Bangalore Hotel. Day 2 Bangalore sightseeing-Coimbatore (by air). After hearty breakfast at Bangalore hotel, proceed to visit rest of the sightseeing of Bangalore. The 2nd day Bangaluru sightseeing tour will include visit of HAL Aerospace Museum, NIMHANS Brain Museum, Electronic City, Iskcon Temple & Vidhana Soudha. After finishing sightseeing, at late afternoon t then proceed to Bangalore airport to board the flight for Coimbatore. Upon Coimbatore arrival, Optima India Tourism representative will meet you holding a placard with your name on it at the exit. You will be transferred to Coimbatore hotel for overnight stay. After delicious breakfast at Coimbatore hotel, proceed for exploring Coimbatore such as Marudamalai Temple, Perur Patteeswarar Temple and many more. About 12 kms away from Coimbatore railway station is the Marudhamalai temple of Lord Muruga. The temple is situated on the Marudamalai (Maruda is the colloquial form of Marunthu, which means medicine and Malai means mountain) mountain and is one of the most visited temples in the region, the reason being that the presiding deity, known as "Dandayuthapani" is believed to have performed several miracles here. During the rule of Raja Raja Chola, Patteeswarar Temple or Perur Temple was built. It is dedicated to Lord Shiva (Patteeswarar being the other name for Shiva) and has been patronized by various poets such as Kachiappa Munivar and Arunagiri Nathar. 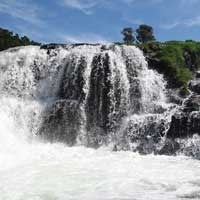 It is located 7 km to the west of Noyyal River. Inside the temple premises, you can see his consort Parvati (called Pachainayaki) along with him. As per folklore, this deity had emerged on its own and that is why many regard it as 'Swayambu Lingam'. Halls, gopurams and carved pillars adorn the temple. Also, there is a golden statue of Nataraja in one of the halls of Patteeswarar Temple. Having seen famous monuments and exploring local market of Coimbatore, return to Coimbatore hotel for overnight stay. After breakfast at the hotel, explore Coimbatore on your own. Do visit multi religious Dhyanalinga temple, famous for Yoga and meditative practices. After finishing Coimbatore sightseeing, proceed to Kochi. On arrival at Kochi, check in at Cochin hotel. Relax a bit and then proceed for watching Kathakali Dance show in time. After viewing the cultural show, return to Kochi hotel for overnight stay. Have delicious breakfast in Cochin hotel and move to visit major and salient tourist attractions of Cochin. The sightseeing tour of Cochin will include Jew Synagogue, Jews Town, Dutch Palace, Fort Kochi, Chinese Fishing Nets, St. Francis Church. After sightseeing tour of Cochin, explore local market. Do visit spice bazaar. Later in the evening, return to Cochin hotel for overnight stay. Day 6 Kochi- Kozhikode (by car 215 Kms/ 05 hrs). After delicious breakfast in Cochin hotel, proceed for Kozhikode. On arrival at Kozhikode, you will be directly transferred to houseboat to explore rural and natural Kerala while resting on houseboat. Spend the day in leisure and have overnight stay in houseboat. Day 7 Kozhikode sightseeing- Ooty (by car 165 Kms/ 04 hrs). Having taken delicious breakfast in Kozhikode houseboat, check out from the houseboat and proceed on for sightseeing tour of Kozhikode which primarily includes Mananchira Square and Pazhassi Raja Museum and Art Gallery. After finishing Kozhikode sightseeing, proceed to Ooty. After about four hours of drive in hilly terrain but replete with natural beauty, reach at Ooty. On arrival at Ooty, check in at Ooty hotel to spend the day in leisure and have overnight stay. Day 8 Hospet- Hampi-Hospet (50 kms)Ooty sightseeing. Have scrumptious breakfast and spend the morning in leisure. 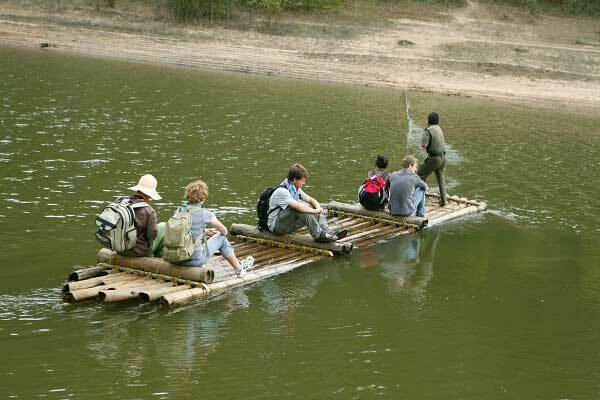 Enjoy the natural beauty of Ooty by having nature walk. In the afternoon, you will be transferred to Ooty railway station to board toy train. There's only one toy train departure daily. It leaves Metupalaiyam at 7.10 a.m. and arrives in Ooty at noon. In order to return to Metupalaiyam, the train leaves Ooty at 3 p.m. and reaches Metupalaiyam at 6.35 p.m. On arrival at Metupaiyam, you will be picked up and transferred to Ooty hotel again for overnight stay. Day 9 Ooty - Mysore (by car 135 Kms/ 03 hrs). After hearty breakfast in the hotel, proceed to Mysore. On arrival at Mysore, check in at the pre-booked hotel. Have lunch, relax for some time and move for visiting Mysore Palace. Mysore Palace, one of the largest palaces in India, is the prime tourist attraction of Mysore. The earlier version of Mysore Palace was wooden one and built in 1897. Later, when the palace got damaged by fire, the present day stone-built palace was constructed in 1912. Within Mysore Palace is Jaganmohan Art Gallery. Jaganmohan Palace was once a royal palace that has been converted into a museum and art gallery portraying diverse variety of paintings and miniatures of early 19th century. While it is a feast to your eyes during daytime, you will be completely mesmerized by the sight of the palace illuminated by over 98000 bulbs in the night. Having seen Mysore Palace, proceed to visit Bylakuppe Tibetan Temple. Bylakuppe is about 60 kms from Mysore and quite near Kodagu district of Karnataka. Bylakuppe is the resettlement camp place of Tibetan Buddhists. The Tibetan Buddhists have two clusters of camps in Bylakuppe-"Lugsum Samdupling" (established in 1961) and "Dickyi Larsoe" (established in 1969). These resettlement colonies, inhabiting more than 10,000 Tibetan Buddhists, are famous for Tibetan Buddhist monasteries and Golden Tibetan Temple of Bylakuppe. Sera and Tashilunpo monasteries (both in the Gelukpa tradition) and Namdroling monastery (in the Nyingma tradition) are commendable efforts to preserve and foster cultural lineage. Having seen Bylakuppe Golden Temple, return to Mysore. If the time permits, do visit famous Brindavana Garden of Mysore or if you return quite late from Bylakuppe, you will be transferred to Mysore hotel for overnight stay. Day 10 Mysore-Mangalore (by car 265 Kms/ 06 hrs). After hearty breakfast in the hotel, proceed to Mangalore. 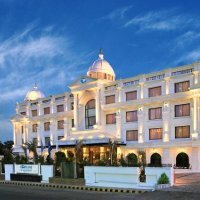 Upon arrival, you will be transferred Mangalore hotel. Rest and relax for a while. Post lunch, explore Mangalore as per your interest. Major tourist attractions of Mangalore are Kadri Manjunath Temple (11th century temple with best bronze stature of Lokeshwara in India), St. Aloysius Church (built in 1900 and famous for paintings of Italian artist Antony Moshaini), Light House Hill Garden, and Manglore beach. Spend the evening in leisure and have overnight stay in Mangalore hotel. Day 11 Mangalore-Goa (by car 375 Kms/ 07 hrs). Having scrumptious breakfast in Mangalore hotel, depart for Goa. It will take about 7 to 8 hours to reach Goa. Internationally renowned for its beaches, Goa is visited by hundreds of thousands of foreign and domestic tourists each year. On arrival at Goa, you will be transferred to Goa hotel to spend time in leisure in the evening and have overnight stay in Goa. Have delicious breakfast in Goa hotel. Spend early morning hours on the beach and then move for exploring colourful markets of Goa. Late afternoon, return to Goa hotel for overnight stay in Goa hotel. Day 13 Goa market exploration-Mumbai (by air). Have delicious breakfast in Goa hotel. 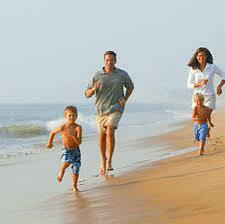 Spend early morning hours on the beach and then check out from Goa hotel. Move for exploring colourful markets of Goa. After visiting market of Goa, move for Goa airport to board flight for Mumbai. On arrival at Mumbai, you will be received by Optima India Tourism’s representative and transferred to Mumbai hotel for overnight stay. 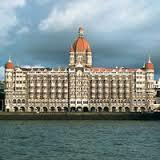 After a relaxed breakfast in Mumbai hotel, your Mumbai tour will commence from 8 am. You will be taken to Gateway of India where you will board steamer or ferries for Elephanta. For Elephanta cave temples, one has to reach there through sea route by a large boat/ steamer/ ship. Elephanta caves house rock cut temples dating back to the 5th century CE. After returning from Elephanta (around 1 pm), you will be visiting Prince of Wales Museum, Hanging Garden (seen on the way from a distance), Dhobi Ghat, High Court building (seen on the way from a distance), Marine Drive, Gateway of India and Mani Bhawan. The emphasis will be mainly on 4 destinations- Elephanta, Prince of Wales Museum, Gateway of India and Mani Bhawan. Later in the evening, return to Mumbai hotel for overnight stay. Have relaxed breakfast in Mumbai hotel and move for exploring Kolaba, Mall and Juhu Beach. Having explored places of your interest, return to Mumbai hotel, relax and freshen up. Late in the evening, depart from Mumbai hotel to Mumbai international airport to board flight for your onward destination. Bangalore, now called as Bangaluru, is capital city of Karnataka, a southern Indian province. Deeply steeped into history, Bangalore had been established by Kempe Gowda. Presently, Bangalore has shot to the fame for being centre of Information Technology (IT). Hence, Bangalore, now-a-days an evolved metropolis, offers a tourist lot more to explore ranging from golden past to modern strides being made by India. Bangalore Fort was constructed in 1537 by Kempe Gowda, the founder of Bangalore. The original fort was made of mud. Later, Tipu Sultan made it his bastion and converted it into a stone-built fortress. During Mysore War, the British captured Bangalore Fort and caused it great damag e. Even after that, Bangalore Fort's Delhi gate and two bastions are still existing primary remains of the fort. Tipu Sultan’s Summer Palace is also located into the fort. Built in 1887 by Chamaraja Wodeyar, Bangalore Palace is inspired by England's Windsor Castle. This beautiful palace has Tudor style architecture, with fortified towers, arches, green lawns, and elegant woodcarvings in its interiors. Drawing inspiration from Windsor Castle of England, the Wodyar Maharajas of Mysore constructed Bangalore Place in 1887. In its heydays, Bangalore Place, built in Tudor style architecture, was an eminent piece of architecture. Its past glory is still visible in fortified towers, arches, green lawns, and elegant woodcarvings in its interiors. But, its importance as a tourist attraction has been recognized quite late and remained neglected for long time as rundown building with paint peeling on the interior. Though, it has been now opened for general public to behold, it generally remains as a tourist trap. Tipu Sultan’s Summer Palace, also known as ‘The Abode of Peace’ is situated within Bangalore Fort and is mostly built of teakwood. Intricately carved pillars, curved arches and balconies and Ganesh Temple are the highlights of Tipu Sultan’s Summer Palace, a two storey structure. The Bull Temple of Bangalore is a prime tourist attraction. Built in traditional Dravidian style of temple architecture, Bull Temple is dedicated to ‘Nandi’- the bull which is considered as Lord Shiva's vehicle as per Hindu mythology. The monolithic bull statue of granite measures 4.6 metres tall and 6m long. Bull Temple is locally called as "Nandi temple"or Bhoganandiswara temple. The first of its kind in India and established in 2001 to showcase landmarks and evolutionary stages of India’s aviation industry, HAL Aerospace Museum in Bangalore displays a range of aircraft as well as helicopters, Aircraft engine models, Flight simulators, a mock Air Traffic Control Tower in addition to exhibit of Indian aviation history. NIMHANS stands for National Institute of Mental Health and Neurosciences. Its existence as mental asylum dates back to late 19th century. Maharaja of Mysore has been instrumental in turning mental in 1954, it becomes All India Institute of Mental Health. It was declared a deemed university in 1994. Having evaluated its contribution to society and brain science, Government of India has conferred it institute of national importance. A visit of NIMHANS is like weaving through the history of the state, science and the social milieu. Enriched with 30 years of research and display of more than 600 brains, NIMHANS Brain Museum offers opportunity to see the brain, understand how it works and get an insight into the kind of diseases that can affect it. Popularly called Ecity within Bangalore, most often refered to as Electronic City, it was named "Electronic City" by its founders. Electronic City, today is the largest industrial technology hub of Bangalore, housing about 300 companies, and a very large work force of employees. ISKCON is an abbreviation of International Society for Krishna Consciousness. ISKCON is a society engaged in spreading Lord Krishna’s message and creating Krishna consciousness across the globe. The ISKCON Temple in Bangalore, built as a splendid blend of neo architectural styles and classical Dravidian temple architecture style, is the biggest temple among more than 350 ISKCON temples across the world. The morning program starts at 4:15 am and ends at 9:00 am. Darshan is open till 1:00 PM. The complex also houses ISKCON museum, Bhaktivedanta Book Trust, and the Dakshinakriti shop for handicrafts. The Legislative Chamber of Karnataka, called Vidhana Soundh, was built in 1954 in a neo Dravidian style of architecture. It is a landmark of Bangalore. Though it is not open to the public, but its mesmerizing beauty can be seen every Sunday evenings as it is then beautifully floodlit. Coimbatore, the third largest city of Tamil Nadu is situated in the foothills of Nilgiri Mountain. Ancient temples are the prime monuments and tourist attracts. Some of these temples are more than 1000 years old and are still in well preserved state. Hindu temples where religious rituals are performed are known as live temples. From that perspective, ancient temples of Coimbatore are live ones. The worshipping patterns and rituals performed carry thousands of years old practices in unhindered continuum. Amazing ancient sculptures and carvings in stone show a pictorially carved history are mostly found on the pillars of the temples and give many people information and teach what many would argue is the real tradition of the Hindu culture. Cochin, known as Queen of the Arabian Sea, is an ancient port city with all modern amenities. Cochin, locally called Kochi, is termed as commercial capital of Kerala, a southern Indian state. Cochin is a special city which though preserves the marks of various nationalities and cultures but always maintains its lineage of pristine Indian culture intact. 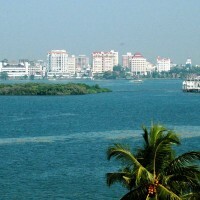 Cochin is known for its historical monuments, Chinese connections, spice market and superb harbours. The Jews Synagogue is locally called as Paradesi Synagogue. Paradesi means ‘belonging to another country and culture’. The Jews Synagogue, built in 1568 AD, is one of the oldest living or active synagogues in the world. The existence of this synagogue is a testimony of tolerance & co-existence of Hindu religion & culture. This synagogue is located in the old part of Mattenchery Town in Kochi and is known as Jew Town. Located in Mattenchery, the old town of Kochi, and close to the Jews Town, the Dutch Palace is also called Mattenchery Palace in local parlance. Built in 1555 A.D. by the Portuguese, later captured by the Dutch and finally presented to Raja Veera Varma, king of Kochi, Dutch Palace is a never-to-be-missed tourist destination of Cochin. This landmark destination is known for its quaint charm and huge collection of Kerala temple murals, portraits and exhibits of the Rajas of Kochi. Fort Kochi is situated about 13 km from Ernakulam and is famous for Chinese fishing nets, picturesque beaches and architectural style of the buildings. European style is clearly evident and that makes this small town stands apart from other towns in Kerala. Located in Fort Kochi, St. Francis Xavier Church has long and interesting history. Built in 1503 by Portuguese traders, it was then a wooden structure. Later, in 1506 AD, king of Kochi allowed Portuguese Viceroy Dom Francisco Almedia to convert it into a long-lasting stone structure. The reconstructed stone church, completed in 1516 AD, had been dedicated to St. Anthony. In 1663, the church went into the hands of the Dutch and they turned it into a government church. Later, the British captured it and made it a protected monument in 1923, under the Protected Monuments Act of 1904. St. Francis Xavier Church is also famous for being the burial ground of Vasco-de-Gama, the first European to discover a route to India. Originally called as Calicut, this place has been one of the most important commercial centers of Kerala. It was here at the Kappad beach, 20 kms. away, that Vasco da Gama, the first European traveller to reach India, landed in 1498. Unlike Goa or Kochi, Where the Portuguese influence is still discernible, Kozhikode shows very little evidence of this influence. The ruins of the fort, built here is perhaps the only evidence that can be seen. The phenomenal growth of this part has been attributed to the Zamorine, the ancient rulers of Kozhikode. Many merchant vessels have called at this port, lured by the rich property of Malabar, pepper, ivory and spices. About the 14th century, the Zamorins were the richest kings in the India. They encouraged the building of temples, besides beings great patrons of sculpture, art and learning. Tippu Sultan of Mysore occupied this place for same time and finally it went to the British in 1792. Kozhikode can be made as the base by tourist who desires to visit some the interior places. Ooty, stands at 7347 feet above sea level, was discovered and developed by the British and gained fame as their summer retreat. Now-a-Days, Ooty is the most visited hill station of south India, temperature ranging between 15-20 degree celcius round the year. Ooty is also called Udhagamandalam meaning ‘house in mountain’ (othakal-mund) or ‘Water Abode’ (Udhaka Mandalam). From touristic point of view, Ooty is a leisure destination to enjoy being amidst the nature. To, British tourists, it offers them an opportunity to relish old world charm. 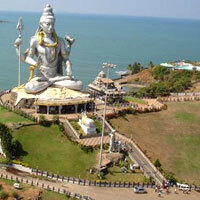 Mangalore, a famous tourist destination of Karnataka, is the most prominent city of coastal Karnataka. Coastal Karnataka is 320 kms long sea coast and is popularly called as Karavali. The coastal Karnataka is a rich tapestry of azure waters, lapping palm fringed beaches, dense green forests and valleys. There are many places of tourist interest in this area. Visit of Dakshina Kannada region is incomplete without witnessing Yakshagana dance performance. It is an all-night event, with gorgeous costumes, elaborate make-up quick movements, beating drums, narration sung with feelings by the Bhagavathar-the total effect is spell binding. Manglore is the main centre of Dakshina Kannada and a modern major port. It has a long history of maritime trade. Although it has developed as a business and commercial centre, it still retains its old charms. Abbakka ruled and defeated the Portuguese here way back in 1680. Someshwar temple and Dargah of the Sufi Saint Syed Malani are also worth a visit. Places of interest are Kadiri hills. Manjunatha temple, Mangalamba temple and Gokarnanath temple.Magalore can be made as the base to visit many interesting places around. Goa is a new state of India and its capital Panjim though has modern buildings but still contains the charm of small town feel. The old buildings which impart it special pristine charm include the Idalcao Palace, Braganza Institute, Largo da Igreja (the Main Square, dominated by the Church of Immaculate Conception). The nearby Dr Salim Ali Bird Sanctuary is a nice excursion. Also called Valha Goa, Old Goa is the erstwhile capital of Albuquerque and the heart of Portuguese Goa. The Tomb of St Francis Xavier inside the Basilica of Bom Jesus attracts millions of devout here annually. Mapusa, the administrative headquarters of Bardesz talluka, boasts of St Jerome's Church, Our Lady of Miracles and the Maruti Temple. Coconut-fringed sandy beaches dot the coastline in Bardez and Pernem talukas, in north Goa. Margao, the capital of Goa's most prosperous taluka- Salcete- is the second largest commercial centre in Goa. Margao exudes the pristine colonial charm in its subtlest form. Margao usually serves as an overnight stop for visitors who are about to hit the beaches of south Goa but the Baroque-style Church of the Holy Spirit, and the many fine 17th-century houses are worth checking out. The famous beaches of southern Goa are Benaulim, Varac and Colva with many luxurious beach resorts. Goa is known for partying and festivals and fairs give opportunity to party with religious and cultural fervor. It can be observed in the celebration of several Christian festivals in Goa with much gusto. These include the Feast of Three Kings, Feast of our Lady of Miracles, Feast of St Anthony, and Feast of St Francis Xavier. The largest non-religious celebration is the Carnival, marked by colorful processions complete with floats. Total Meals: 16 (Breakfast-14; Lunch-01 & Dinner-01). Total night stays: 14 (Bangalore-01; Coimbatore-02; Cochin-02; Kozhikode-01; Ooty-02; Mysore-01; Mangalore-01; Goa-02; Mumbai-02). Along with breakfast at all places, 01 lunch & 01 dinner in Kozhikode houseboat. Steamer ride to visit Elephanta cave temples. 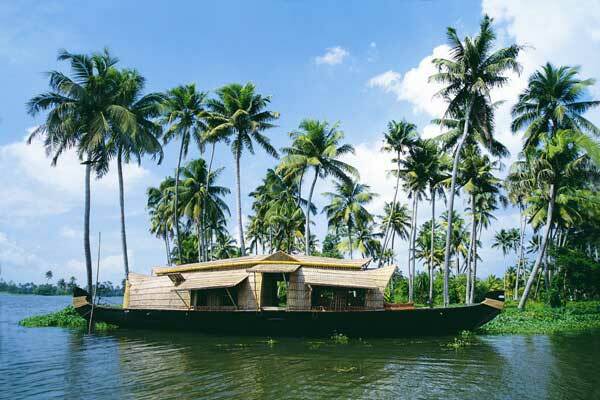 Houseboat stay and leisurely cruise in backwaters of Kozhikode. Visit of brain museum in Bangalore. Visit of Bylakuppe Tibetan Buddhist temple, about 60 kms from Mysore. A ride on Nilgiri Toy Train in Ooty. Revisit the past through murals and the antiquities at Dutch Palace and Dutch Cemetery. Marvel at the generous views offered by the Fort Kochi harbor. Amble along the antique and the spice markets. Do not forget to watch Chinese fishing nets when they are in use. You can feel the breath of royalty by going for Hill Palace and then Tripunithura. Enjoy the wonderful sunset cruise and relax or you can entertain and educate yourself by the traditional dance performance of Kathakali and other such classical dance forms. There is also a barrage of martial art forms that you can choose from. Kozhikode: Appam (prepared of fermented rice and coconut dough) & Karimeen (prepared of freshwater fish). Goa: Do taste Feni- a local Goan alcoholic beverage.